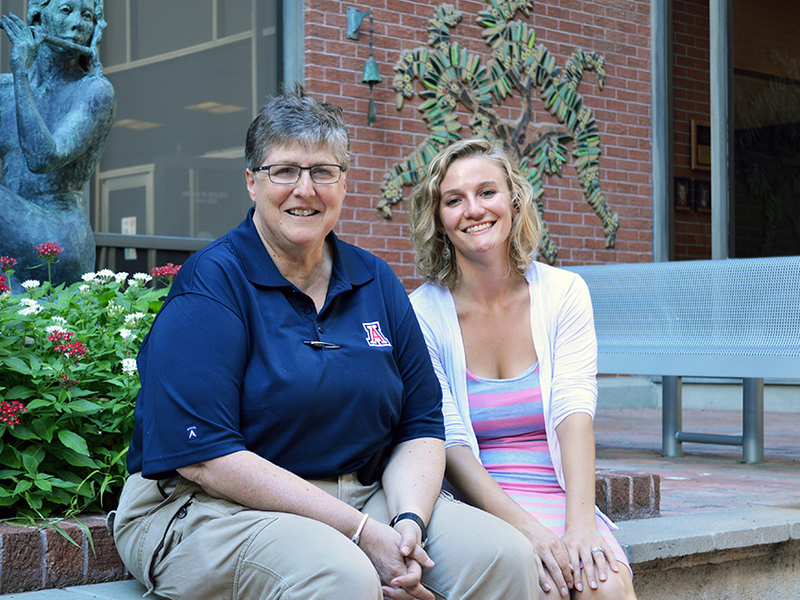 As a Bachelor of Science in Nursing (BSN) student at the University of Arizona College of Nursing, Brooke Finley knew she wanted to pursue research her first day of class in Scholarly Inquiry in Evidence-Based Practice, taught by Associate Professor Janice Crist. As a BSN student, Finley participated in a number of research opportunities, including working as a data collector for Associate Professor Barbara Brewer and as a research assistant for Assistant Professors Jane Carrington and Sheila Gephart. For her BSN honors thesis on compassion fatigue in oncology nurses, Finley worked with Clinical Associate Professor Kate Sheppard, who took her under her wing and provided data for Finley to analyze. Finley went on to present her honors thesis during a podium session at the Western Institute of Nursing annual research conference, attended by hundreds of leading nurse scientists, faculty and graduate students across 13 Western states. As a first-year Doctor of Philosophy (PhD) in Nursingstudent, Finley was one of 23 graduate students selected to receive the University Fellows Award from the UA Graduate College. The prestigious fellowship provides financial support, professional and personal development, community engagement and opportunities to interact with an interdisciplinary group of UA Fellows and distinguished faculty members. For her PhD dissertation, Finley is focusing on how to improve the efficiency of electronic health records use by nurses and other health-care professionals. Dr. Carrington, one of her research mentors from her undergraduate career, is her dissertation chair.